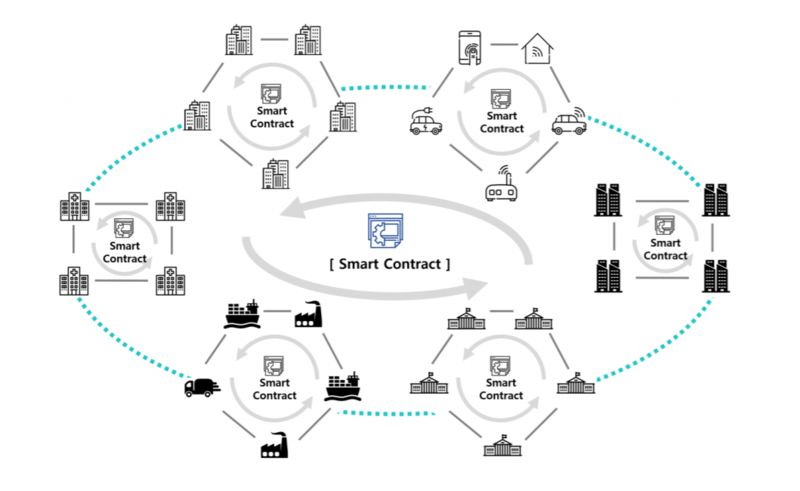 ICON is a blockchain platform that connects multiple blockchains via smart contracts and maintains each individual blockchain’s properties. It aims to construct a decentralized network allowing independent blockchains with different governances to transact with one another without intermediaries, the project’s official website reads. Hyperconnecting the world into a single global decentralized network for financial, security, insurance, healthcare, educational, and commerce industries work together, that's what ICON is all about. In ICON’s network, C-Rep is used to connect different blockchain-based communities into a so-called ICON Republic. A number of blockchains are connected around Nexus - a loop-chain based blockchain - via Portal. It facilitates a decentralized governance by allowing Portals and various nodes to take part. 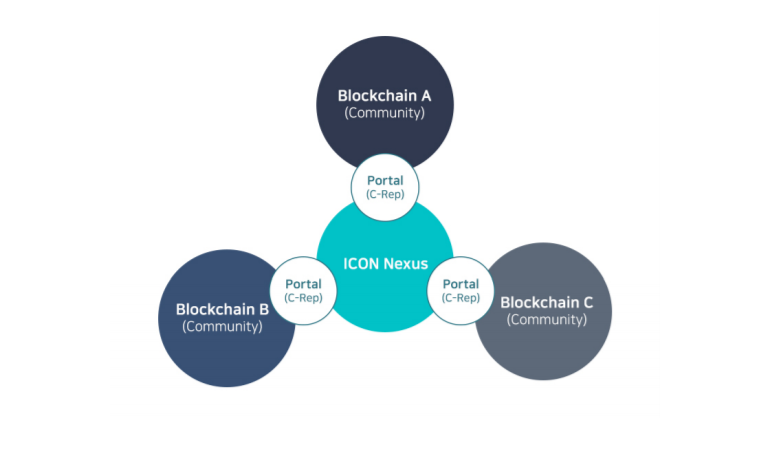 ICX tokens are embedded in Nexus and the interconnected blockchains can use ICX to transfer values. As a blockchain itself, Nexus can be connected to another Nexus, allowing different blockchains with different governance structures to execute transactions and exchange values. “With the advent of the Internet, real-time connection to everything, not just people, has become possible anywhere in the world. Despite these breakthrough, today’s level of connection is still not perfect. With the ICON Project, we are now moving closer to a more seamless connection,” the Icon Foundation said. ICX is a cryptocurrency that can be used for real-time payments and also as a protocol for connecting the blockchain world. The token is currently listed around the 23rd place on CoinMarketCap,com. The cryptocurrency has a market cap of over $569 million and a daily trading volume of about $34 million. The total supply of ICX is 800,460,000. 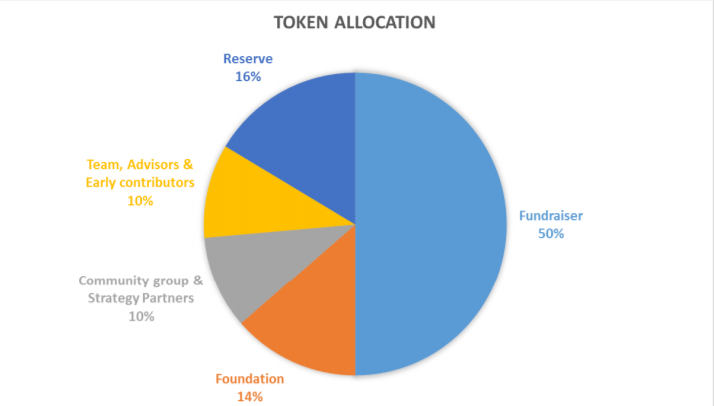 Half of this supply was distributed during ICON’s September 2017 ICO, which raised a total of 150,000 ETH worth around $42,750,000. The project launched its blockchain in January this year. The ICON protocol first launched its crypto token, ICX, on the ethereum blockchain, but later a decision has been made to move the tokens to its own blockchain. The migration of ICON token is on the way with millions of dollars worth of ICON tokens. In total the project is expected to relocate almost $42,750,000 worth of ERC20 tokens with an equal amount of native ICX tokens until September 25, the ICON Team announced in a blog post. This process will be conducted through Binance, Upbit, Bithumb exchanges and the ICONex wallet, but the list of exchanges that support the token swap process is expected to be updated. The ERC20 ICX tokens will be swapped to mainnet ICX coins with a 1:1 swap exchange rate (1 ERC20 ICX token = 1 mainnet ICX coin). The ICON Foundation will also carry out the swap through their ICONex wallet available either as a Chrome browser extension or an Android app. In this case it’s necessary to migrate the ERC20 ICX tokens stored in the ICONex ETH wallet to the ICONex ICX wallet. To make a swap, the ERC tokens should be deposited on Binance and Urbit before June 20 and on Bithumb before June 21. If the token swap window has been missed, the ERC20 ICX tokens will be burned (locked) and can no longer be used to make payments or transactions. 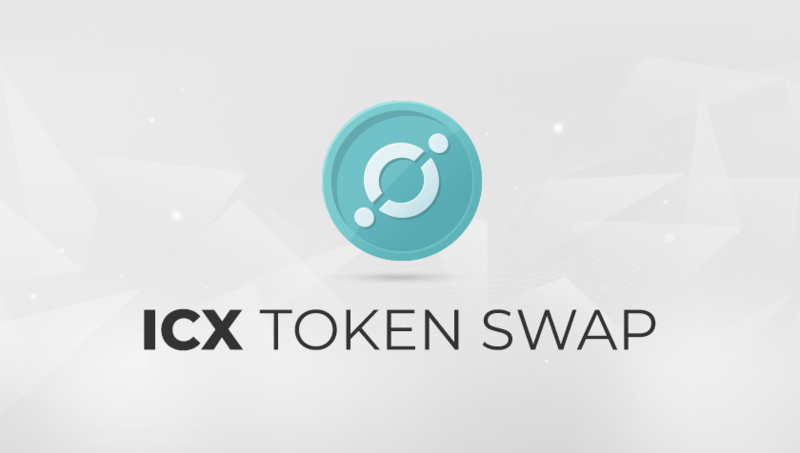 Once the swap is made, the ICX coins cannot be exchanged back to ERC20 ICX tokens. Mainnet ICX coins will only be available for trade in exchanges that support Mainnet ICX. The service allows users to create and manage wallets for various cryptocurrencies that are connected to ICON Network which includes ICX and ETH. ICONick is a ‘wallet ID’ that enables to use an own unique and easy-to-remember nickname instead of the default wallet address, which may seem too long and complicated. This will help to conveniently transfer or exchange ICX. All ICONex users can register one ICONick per wallet. However, the free trial will expire 1 year after registration. The ICONick address can be sold to other users in an open market. ICON is a project developed by a South Korean company named theloop. The engineering team of theloop began its research and development in June 2015. The company is a joint venture formed between DAYLI and 3 Korean universities. ICON is led by KJ Eee, JH Kim, Jay Kim, Hoon Lee, and Min Kim. They’re all listed as members of the Foundation Council. KJ is Founder of Nomad Connection and CEO at DAYLI Intelligence. Jay Kim has worked in the field of information security for nearly 20 years. Jay Kim is now CFO at theloop, a blockchain developer based in Seoul. Hoon Lee was previously Senior Analyst in macroeconomic research and strategic planning at Woori Finance Research Institute. Min Kim brings more than 12 years of experience as corporate director, entrepreneur, investment banker/M&A consultant, VC investor, and mentor to up-and-coming entrepreneurs. ICON is working with a number of blockchain partners ranging from cryptocurrency focused venture capitalists, global accelerators to crypto-focused law firms and blockchain media platforms. Pantera - Investment firm focused exclusively on ventures, tokens, and projects related to blockchain tech, digital currency, and crypto assets. Kenetic Capital - Hong Kong-based investor in online and offline blockchain communities that fosters growth of innovative blockchain business models. Coinsilium - Venture builder, investor and advisor, supporting early-stage blockchain technology companies and the digital token economy. Hashed - Network of South Korean blockchain industry professionals; partnership of engineers, investors, attorneys, and business developers. The group aims to place Korean businesses at the forefront of blockchain developments worldwide. CRYPTO BAZAR - CryptoBazar is one of the largest blockchain communities in Russian-speaking countries (top blockchain developers, largest events, industry media network, venture crypto fund investing in ICOs). Icon strikes deal with Bodhi - Bodhi - a decentralized prediction market platform native to the Qtum blockchain. The partnership aims to enhance Bodhi’s prediction platform by connecting it with other blockchains in the ICON network. ICON in joint venture with LINE - A global social platform LINE PLUS and ICON have co-founded ‘Unchain’ in order to build up a LINE’s blockchain network. The venture is focused on developing different DApp services and building synergies with ICON to expand the blockchain ecosystem. Carboneum partners ICON - Cooperation with ICON is expected to help Carboneum - a decentralized infrastructure and protocol for social trading - to further develop its technical capabilities on ICON blockchain and support the project’s further expansion.